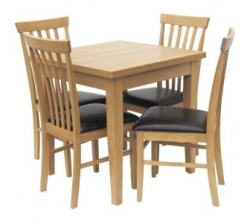 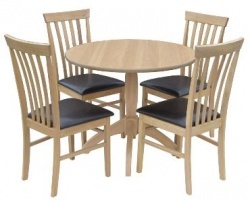 Picture shows natural oak finish with solid seats on Eva chair. The second image (shown with a Loire range 4ft table) shows the olive green painted finish with a natural oak seat. 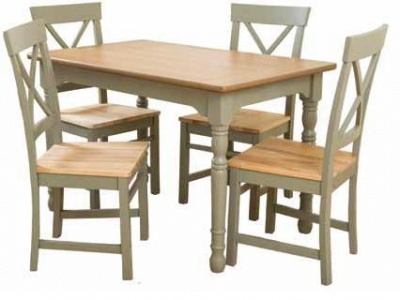 The third image shows the grey painted finish with a warm oak seat. 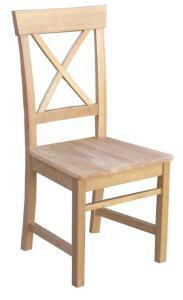 If you select an oak finish - you should have the seat finished the same. 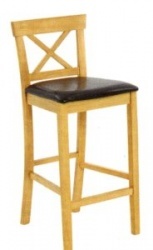 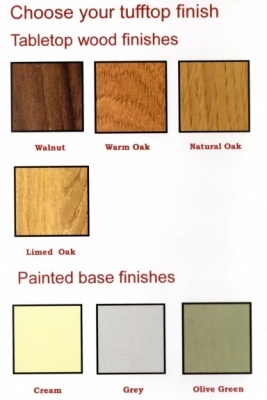 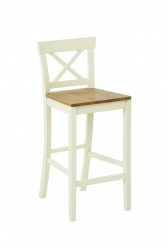 If you select a painted finish - you can chose a wooden seat finish (including walnut and limed oak). 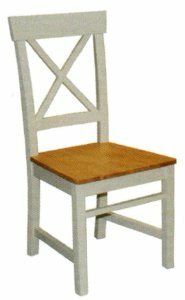 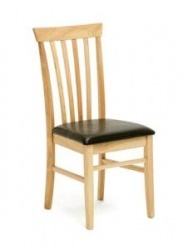 We recommend you select a wooden seat as this is more robust than a painted seat - less prone to scratches and marking that occur as part of everyday life. 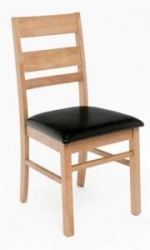 Padded seat option available - see Eva padded chair in related products section below.